It has never been easier to measure an athlete’s explosive power in the legs using the standing long jump. 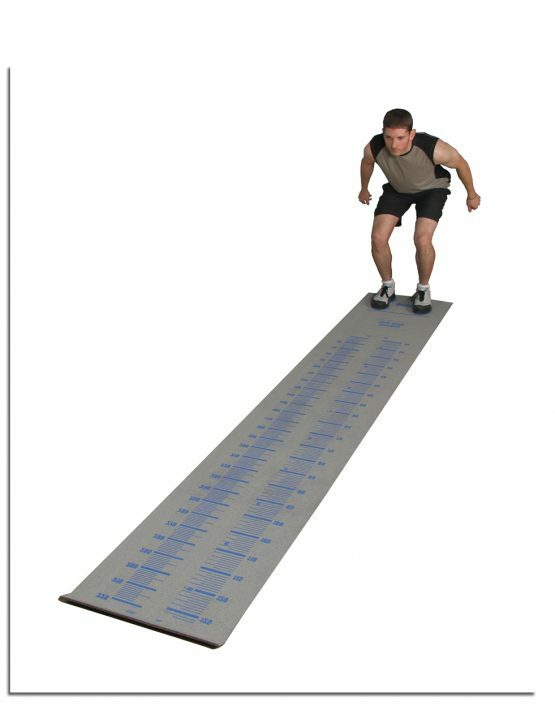 Just unroll the Standing Long Jump Test Mat and you are ready to record the jumps. It is that easy! The mat eliminates taping down a tape measure to the gym floor and eyeballing the distances jumped. It also dispenses with the fear that athletes may slip on a wooden floor.